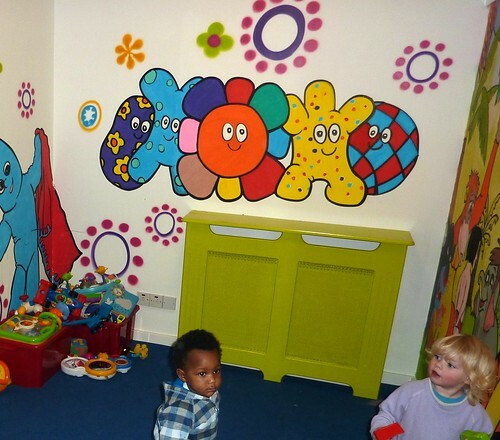 In December 2010 some of the residents in Springfield house got involved with the re-decorating of the kids play area. Guided by Arkade graphics they painted popular kids cartoon characters upon the walls to brighten things up. We also added a bit of colour to objects around the room and created some ‘new from old’ paintings to match their chosen colour scheme. A big thankyou to all the girls who got involved and a few of the guys too. The kids love it . 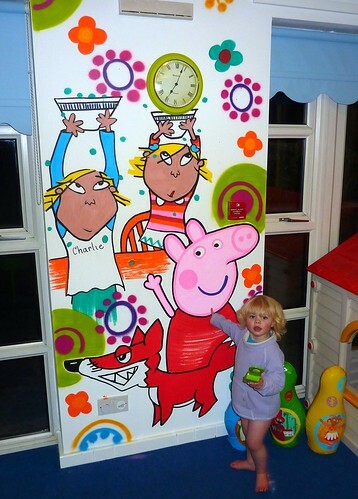 This entry was posted in Commissions and tagged Iggle piggle, Night Garden Mural, Springfield House Milton Keynes, upsie daisey. Bookmark the permalink.